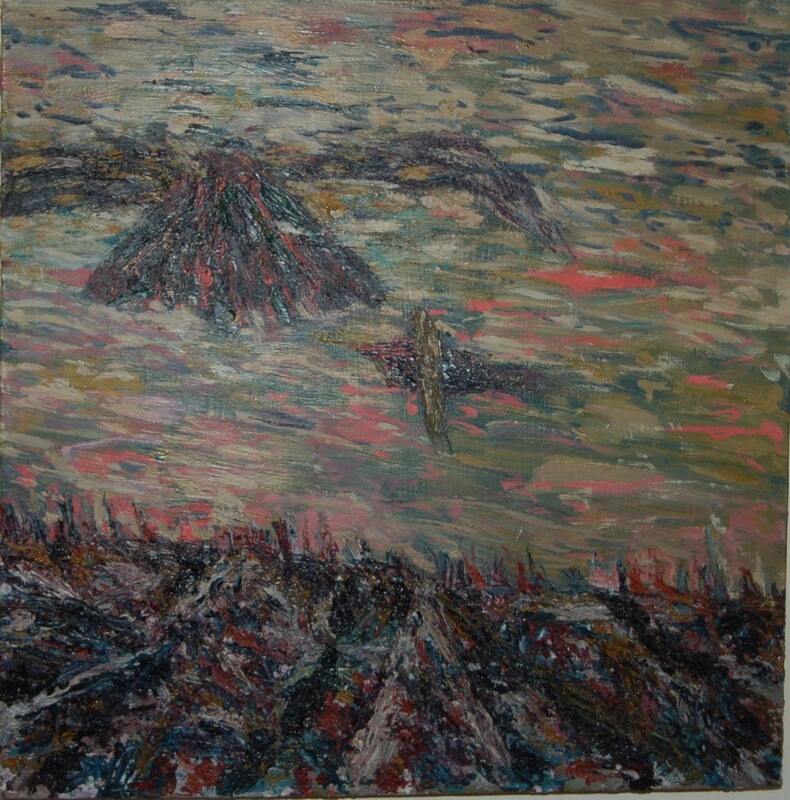 Abstract painting of birds over a plowed field, Untitled. It is dated on the back and signed, by me, Scott Torkelson. It is dated 1993. It measures 24"x24"x 1 3/4" deep. The top stretcher is slightly higher on one side than the other for some reason. I forget why.